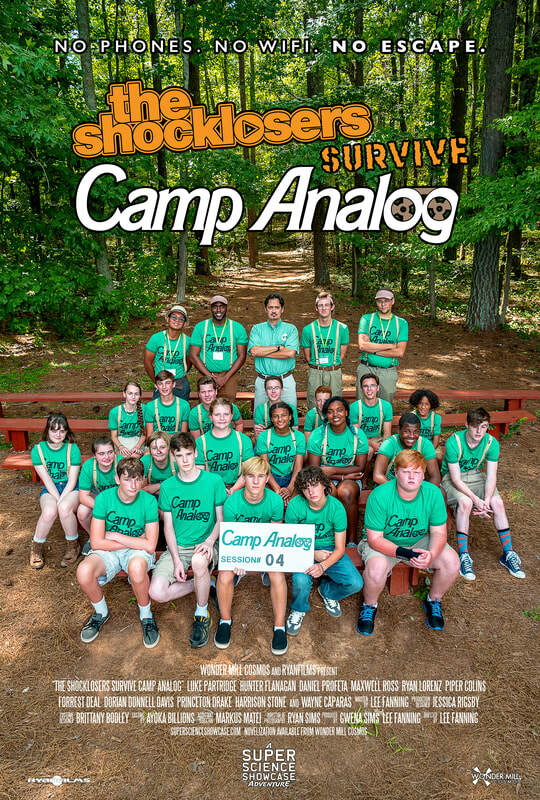 THE SHOCKLOSERS SURVIVE CAMP ANALOG is a feature-length educational adventure coming to streaming and other outlets. Featuring the Shocklosers from Super Science Showcase, this new adventure finds the gang shipped off to Camp Analog-- a summer camp that specializes in "rehabilitating" young people with destructive tech habits-- after a prank for their online channel goes too far. 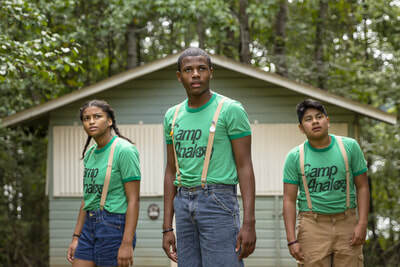 But everything is not quite what it seems at Camp Analog, and the Shocklosers find themselves fighting the established conformity to preserve their individuality. 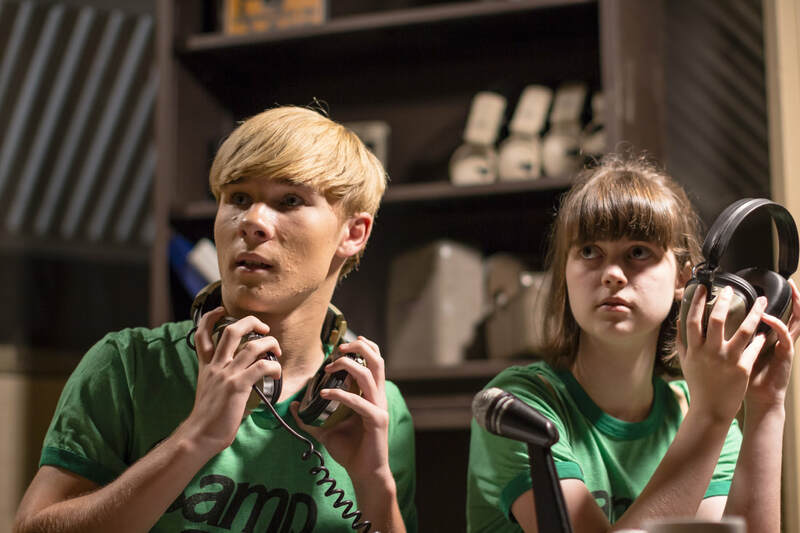 Currently in post-production, the film is an exciting educational adventure that explores technology, the language arts, and how to stay true to yourself and your friends. Coming soon from Wonder Mill Cosmos! The OFFICIAL junior novelization to THE SHOCKLOSERS SURVIVE CAMP ANALOG. Featuring full color photos and all-new material you WON'T find in the film, this novelization by Alicia Cole (The Foragers: Electric Sheep) is a MUST READ for fans of The Shocklosers.